In 1880, the French government commissioned Auguste Rodin to sculpt a door for the entrance of a planned Museum of Decorative Arts. Rodin worked out his design in a number of preparatory drawings and three clay maquettes (small models used as studies). 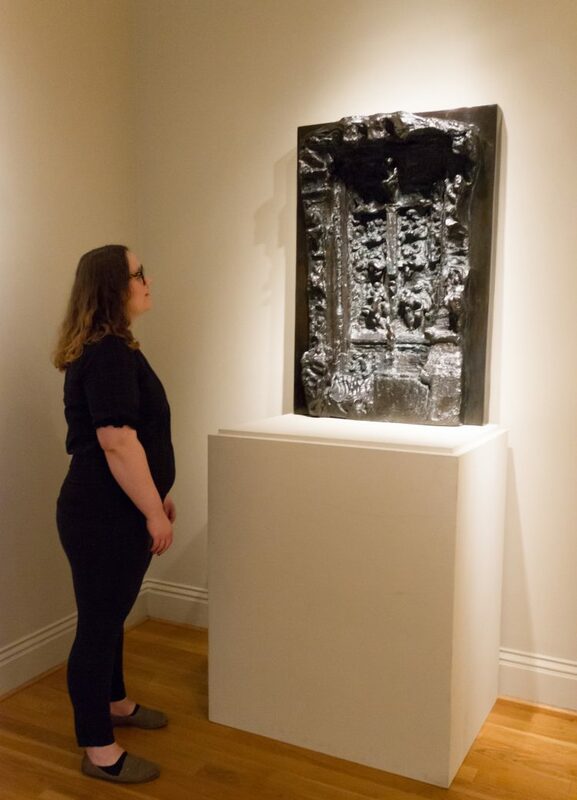 This bronze casting of the third maquette—now on loan to the Phillips from the Collection of Iris Cantor—is close in design to the full-scale version which stands at over 20 feet tall. Drawing inspiration from Dante’s Divine Comedy (1308)—a three-part epic that explores the author’s journey through Hell, Purgatory, and Paradise—Rodin suspends hundreds of figures in an abyss that evokes Dante’s encounter with the tormented souls of the underworld. In developing his visual language, Rodin drew upon the long tradition of gilded bronze church doors, specifically The Gates of Paradise (1425–1452) designed by Renaissance artist Lorenzo Ghiberti for the Baptistery in Florence. After working on The Gates of Hell for a decade, Rodin was forced to abandon the commission when the government announced new plans to build a train station on the site of the proposed museum. Rodin ultimately repurposed parts of the door as independent artworks, among them his famous sculptures The Thinker and The Kiss, both visible in this maquette—The Thinker at the top above the central pier and the enraptured lovers on the lower left side. 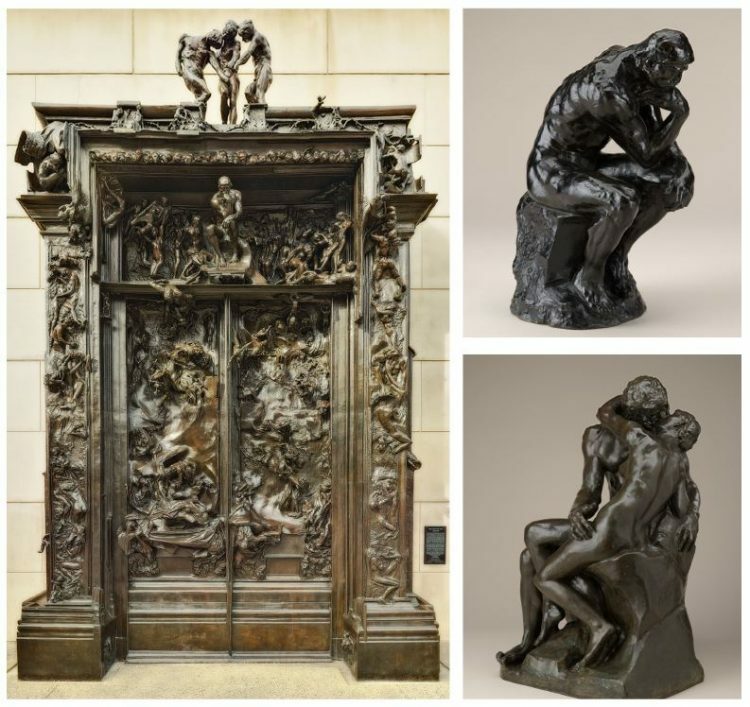 The Gates of Hell was never cast in bronze during Rodin’s lifetime. However, since his death and according to the artist’s wishes, several casts have been made, including one commissioned by the Iris and B. Gerald Cantor Foundation.